The building at No 10 Bridge Street stands like a solid sentinel of Thompson Square defining the corner of George and Bridge Streets. It forms part of a harmonious group of similar buildings which surround the Square – the School of Arts Building, the Moses Store, the Macquarie Arms, Howe House and the Doctor’s House. The building was constructed in 1856/7 as a residence for Dr Joshua Isaac Dowe and his family. 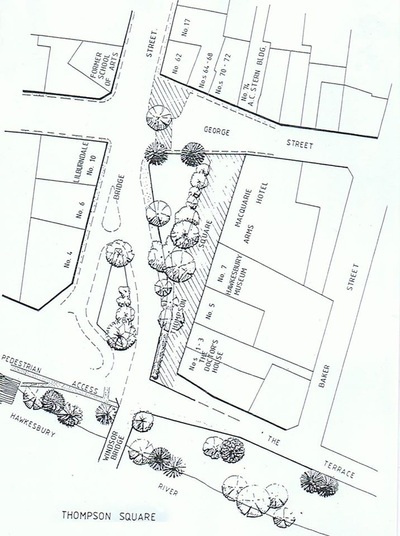 The corner of George and Bridge Street was originally a portion of Andrew Thompson’s Estate, where he had built his warehouse and retail store in about 1804 and later the Police force stables were built there. So this particular plot of land holds a great deal of historical significance for the Square, for the District and for the Nation. No 10 is believed to have been built by the brothers Melville ( a local builder ) because it’s facade is similar to Toxana, an historic building in Richmond. George Martin was the carpenter. Materials were probably local with the bricks being from Enfield ( Nth Richmond ) or Brickfield ( Sth Windsor ). The timber was cedar and hardwood logged locally at Kurrajong and the sandstone came from abundant local supplies. 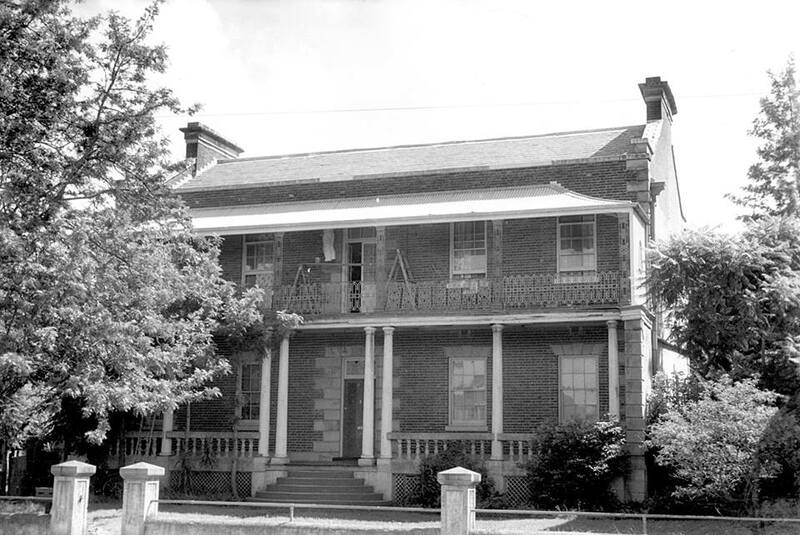 No 10 is described in the heritage study for the restoration of Thompson Square in 1988 as “ a two storey c. 1850 brick Regency Style building with a particularly fine cast iron verandah, balcony and stuccoed parapet and slate roof. It has an elegant facade to Bridge Street and is in sympathy with other elements of the Precinct ( of Thompson Square )”. From the booklet issued on the day the newly restored Thompson Square was opened by Nick Griener - “ One of it’s prominent features is the delicate wrought iron balustrading and columns.” French doors give access to the upper verandah and there are two good slab outbuildings at rear. The basement of two rooms appears to have been the original kitchen and pantry with an original meat hook still in place. 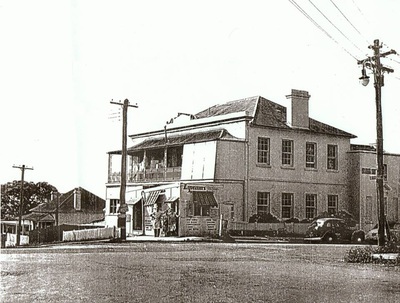 The significance of 10 Bridge Street lies in it’s association with the development of Windsor and the Hawkesbury District. It was built during an economic boom when Windsor was expanding because of traffic to the gold diggings and further development of the country over the Blue Mountains. The agriculture and pastoral industry of the district grew and this brought about an increase in population and added to the river trade, so creating a need for more services including Doctors who in turn needed residences. Number Ten reflects the graciousness and substantial nature of the original purpose of use and compliments the diverse styles which make the Thompson Square Precinct of Windsor a much visited tourist destination. This building has had many owners who have put the premises to a variety of uses and like a chameleon the building has adapted to it’s new uses but never altered it’s original structure. * After Dr Dowe left Windsor in 1860, the building was used as a school by Rev. C.F. Garnsey before his appointment as Rector of St Matthew’s Church of England. The school was called the “Windsor School”. 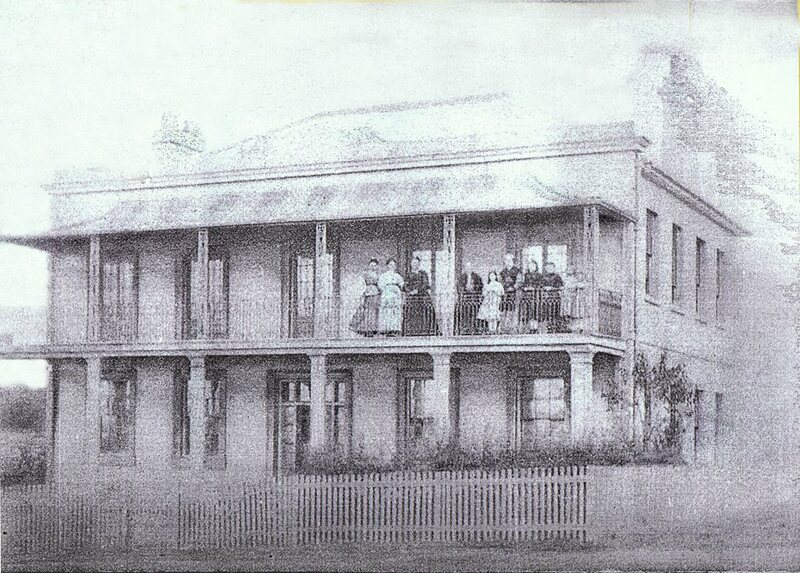 * In the 1870’s the building was being used as a school for young ladies and was called “St Katherine’s”. It was run by Mrs C. Nealds who was the wife of the local telegraph master and when young she had been a governess in England to the Royal family. 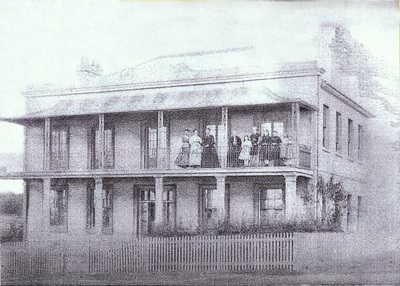 The school closed and re-opened in 1882 in Macquarie Street. Mrs Nealds died tragically in a fire in Coogee in 1896. * Later, in 1875, the “Windsor Grammar School” was established on the same site by Bernard Keenan. He ran the school on this site until, to meet the growing size of his school he moved to a larger premises in South Windsor. Slightly eccentric, he upset ministers by attending different churches at various times, so much so that he was refused a local burial by all. * Dr Joseph Callaghan, L.R.C.P., Edinburgh, occupied the premises from 1887 to 1903. He was also a senior District Magistrate, committee man of the Hawkesbury Race Club and president of the School of Arts. * Then Brinsley Hall, the State Member for Hawkesbury, occupied the building for some time,from about 1903 up until 1919. The premises was then called “Lilburndale”. * The building was then sold to Mr William Lumley Trollope, a Government Savings Bank Manager. * In 1926, Mr Leo Armstrong ( farmer, fireman of No 6 Bridge Street ) bought the building from Mr Trollope. Mr Armstrong then rented the building to two nurses who set up a private maternity hospital called “Craignish” from 1923 – 1934. * Leo Armstrong at some time had the place made up as flats and rented them out to make an income. 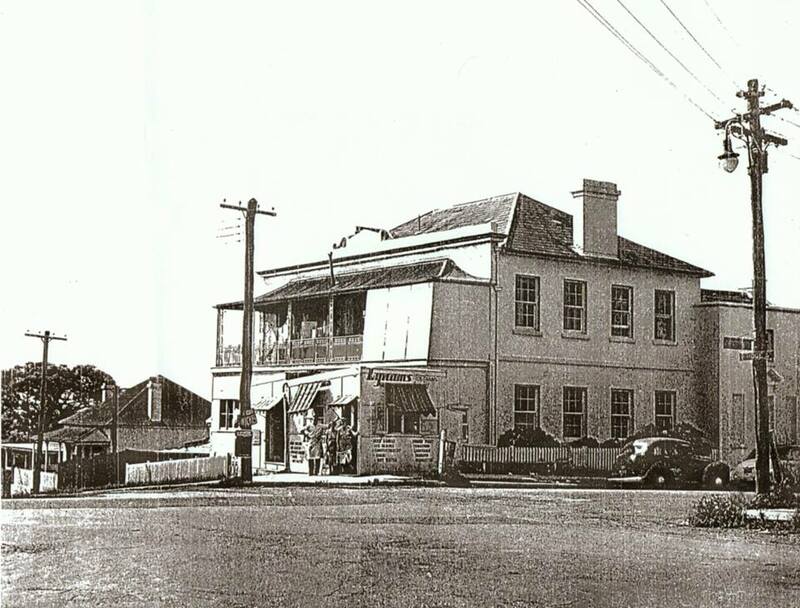 Then, to help financially, a section of the front verandah and yard was enclosed and a small corner shop/milk bar was built and began operating in 1946. To all accounts it was popular with the locals as a place to get an ice cream, ice block or a good sandwich when wandering up from the river after a swim or a boat ride. Allen, Joyce and Roma ran the shop between them until June 1970 when it was leased to Gladys Payne and Joyce Curry and in 1986 to Benito Cortese and his wife Maureen. * The shop was removed and restoration of the facade was completed in time for the 1988 Centenary Celebrations. The doorway made of the front right window was restored and no evidence can be seen of it’s existence. Hawkesbury Municipal Council was instrumental in the external restoration and made compensation to the owner for the loss of business and also paid for the restorations. * In April 1953 Joyce Armstrong purchased the property from her father and she had the upper storey rooms converted into 6 self-contained flats while she occupied the ground floor. The premises was then sold to Mr Kelly and an antique store was operated in the building. * At present “Dr Dowe’s House” belongs to Mr and Mrs Peter and Gail Reynolds who now run it as “River Music”. Number Ten has seen many people come and go and indeed many began their lives in this building when it was a maternity hospital. Most have had connections to many of the district’s pioneers. In following articles we will look more closely into some of the people whose lives have given animation to the spaces contained within Number 10 Bridge Street.